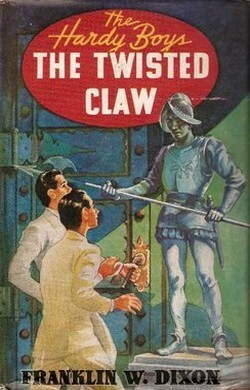 bayport beatHappy New Year and welcome to the January edition of The Hardy Boys News with a look at upcoming releases and the book of the month, “The Twisted Claw”. I’d also like to announce my new Series Books Sales Page! 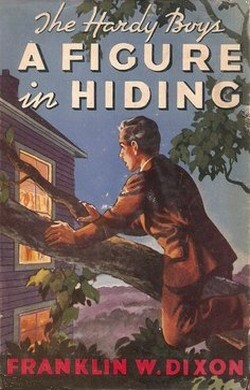 In 1944 the text on page 217 was modified to include the title of the next book. 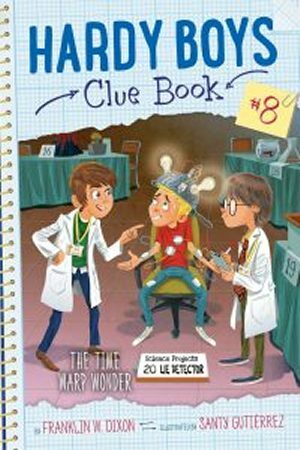 PC edition with Nancy Drew title list on back cover is scarce. 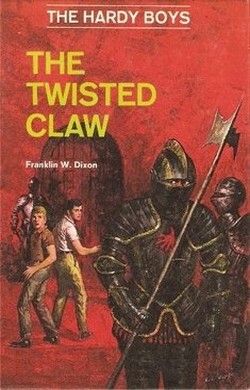 The Hardy Boys defeat “The Order of The Twisted Claw” smuggling gang. 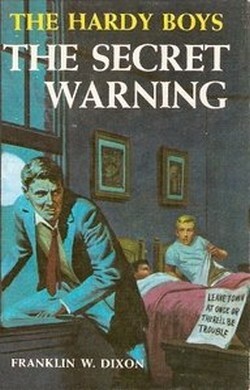 Description of current edition: A series of museum thefts launch the Hardy Boys on this baffling mystery. 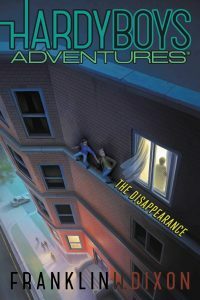 Rare collections of ancient pirate treasure are being stolen, so Frank and Joe are asked to stake out the Black Parrot, a suspicious freighter docked in Bayport Harbor. This whirlwind chase after a self-styled pirate king in the Caribbean stronghold of the Empire of the Twisted Claw makes a gripping tale of suspense and high adventure.. 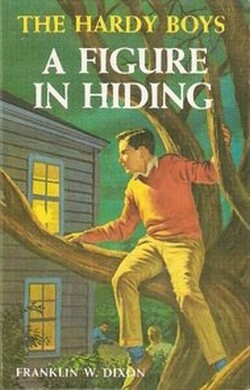 Welcome to the November edition of The Hardy Boys News with a look at new & upcoming releases and “A Figure In Hiding”. 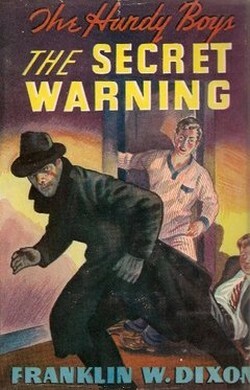 Notes: In 1941 the text on page 211 was altered to include the title of the next book. 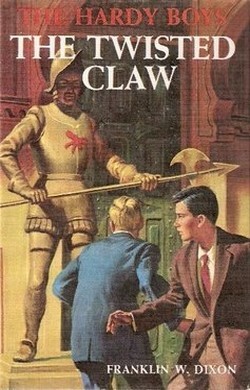 The Hardy Boys foil the fake eye surgery “Eye Syndicate” of quack Dr. Grafton. 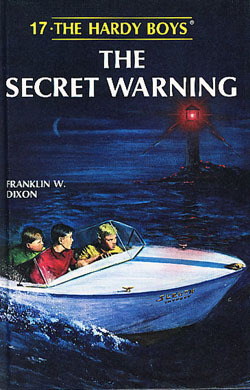 Revision: The Hardy Boys smash the “Evil Eye” (aka “The Goggler Gang”) theft ring. Description of current edition: A blind peddler’s warning and a weird glass eye plunge Frank and Joe Hardy into one of the most baffling cases they have ever tackled. 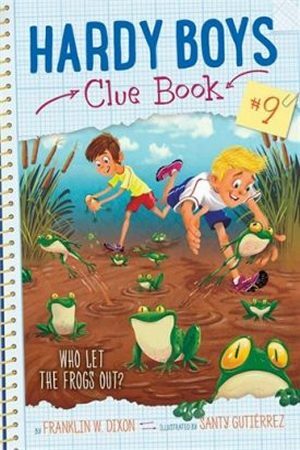 The young detectives’ investigation takes them to a walled estate guarded by savage dogs, where a wealthy businessman is hiding out in fear for his life. 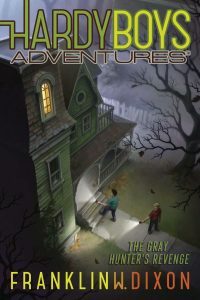 In a climax that will hold the reader spellbound with suspense, Frank and Joe find themselves trapped in a sinister house of mystery where there seems to be no escape! Comments: Really good story! 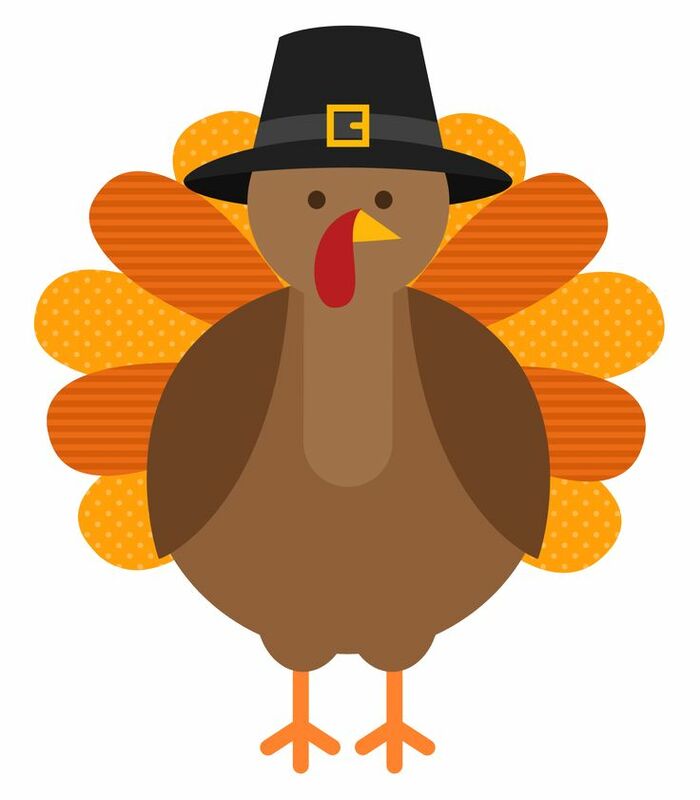 Another winner by Leslie McFarlane! The action never lets up from beginning to end. The sub-plots tie together nicely (except for Chet being sent to Boston, which is never adequately explained) and nobody does anything particularly stupid (except the inexplicable behavior of Virginia Sinder and her grandmother which borders on idiocy, proving the old adage of the apple not falling far from the tree!) The Boys show plenty of guts, quick thinking and some decent detecting. Grafton is one of the meanest, slimiest villains ever! Aunt Gertrude is annoying, ill-mannered and ill-tempered as usual. Definitely in the top 10 of all the stories in the original canon.